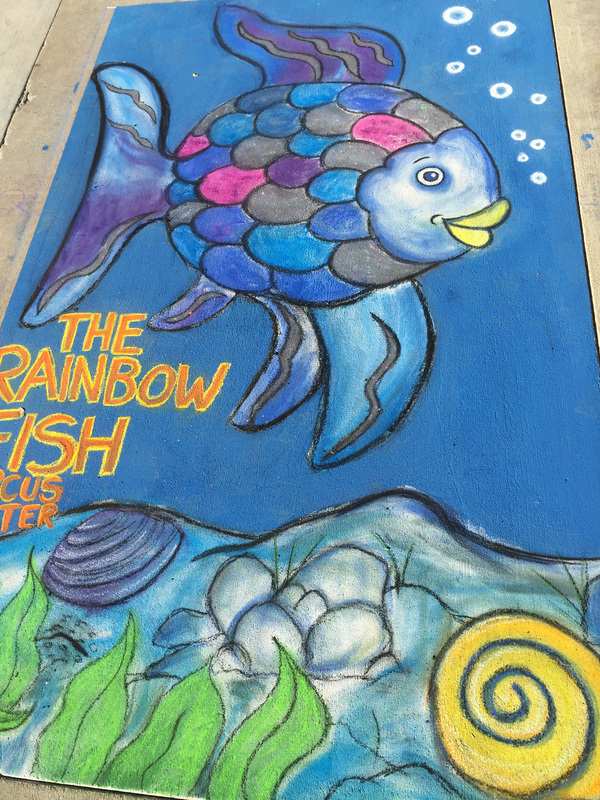 The theme for this year’s Pomona Chalk Festival was “My Favorite Book”, I chose The Rainbow Fish for my square! 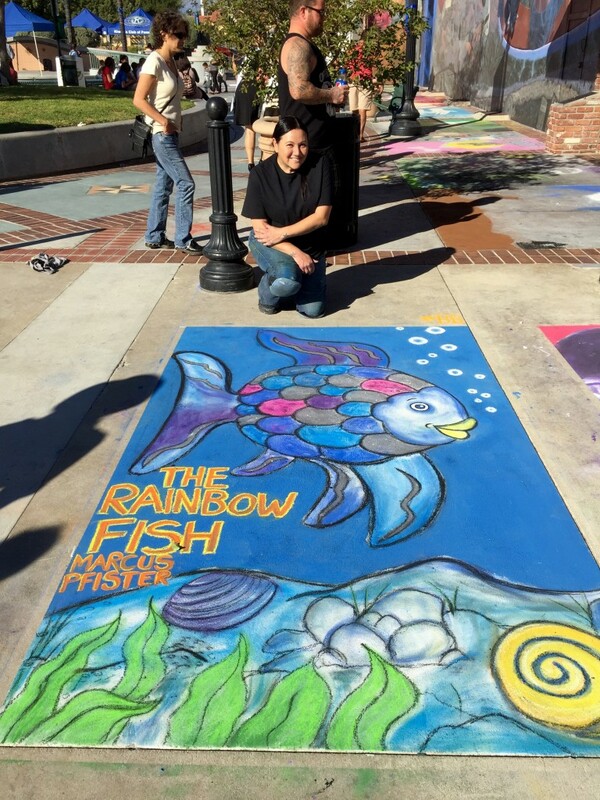 Me and my Rainbow Fish square! I added glitter to the scales but you can’t see it in the pictures.